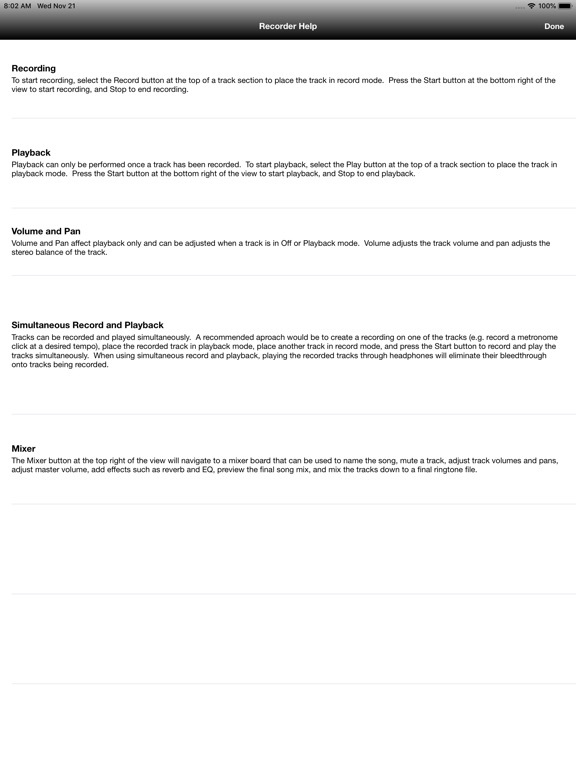 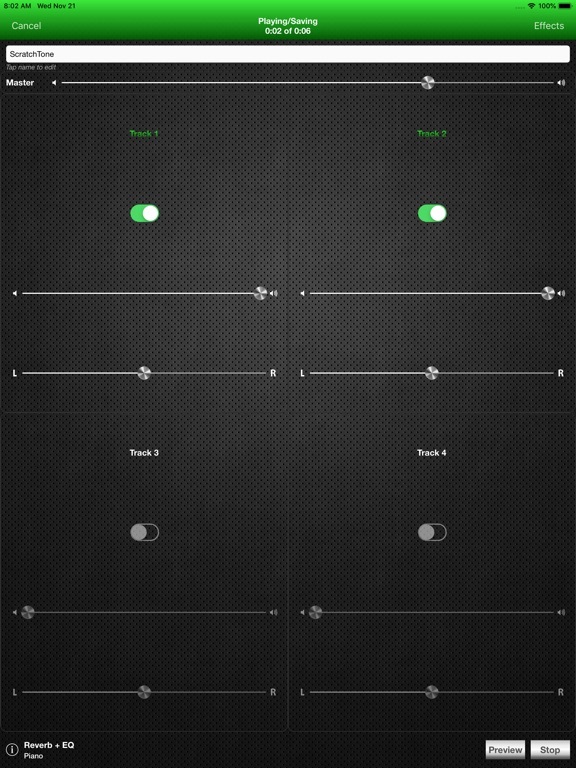 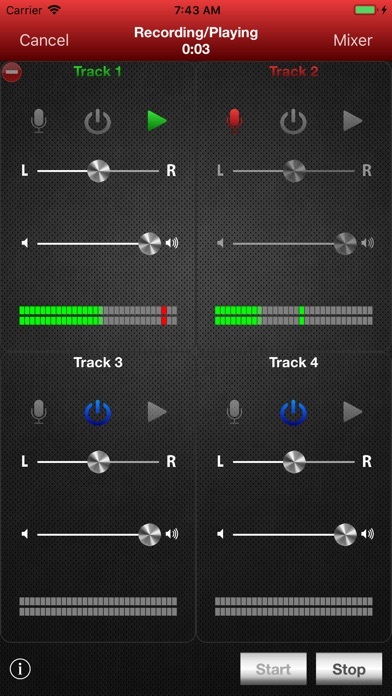 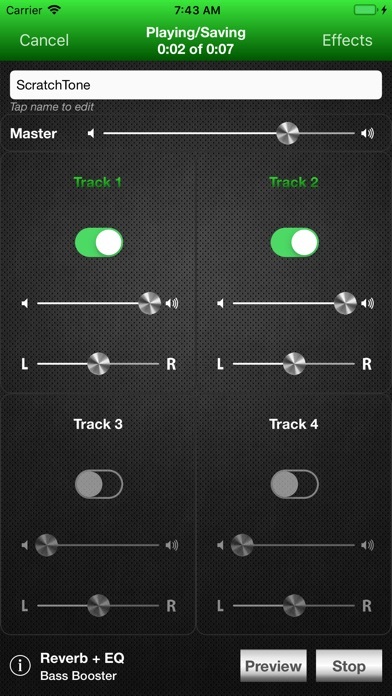 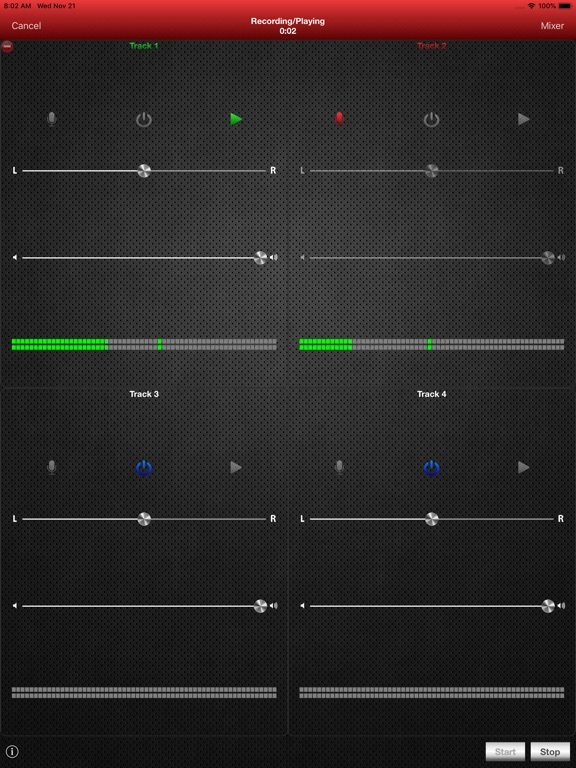 With just a few taps, you'll be laying down your first track. 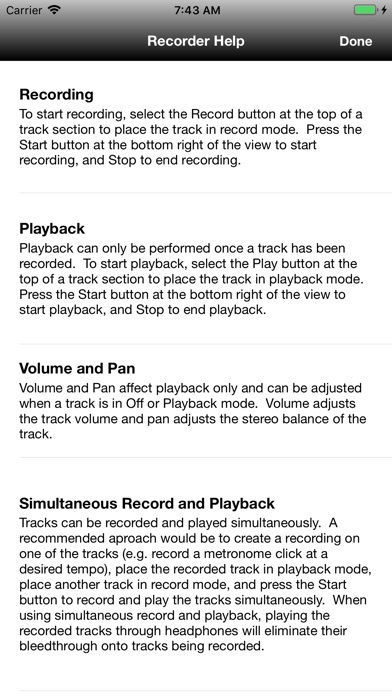 Overdubbing additional tracks is just as easy. 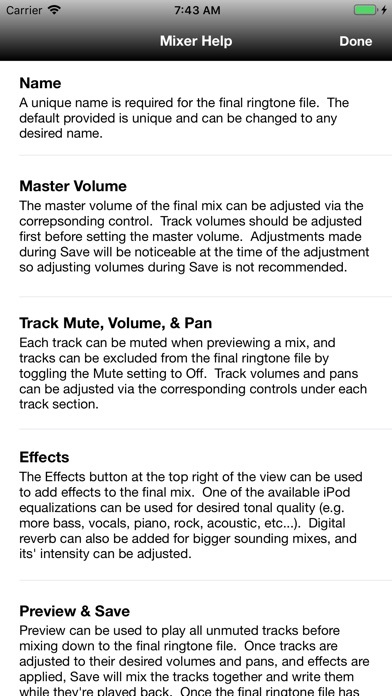 Individual track volumes and balances can be adjusted in the recording studio and mixer board, and master volume and special effects like reverb and EQ can be added to your final mix. 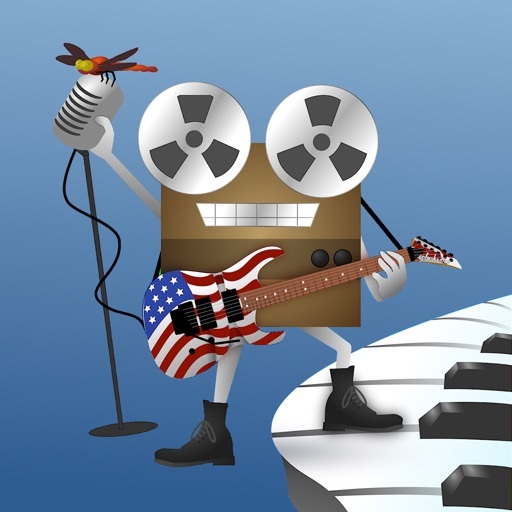 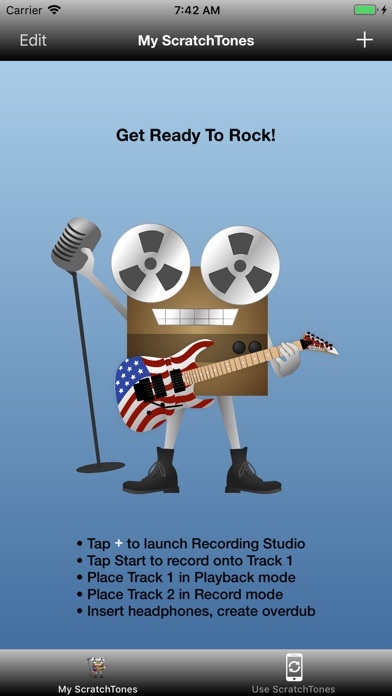 With unlimited song lengths and full editing capabilities, re-record and remix any of your tracks, anytime! 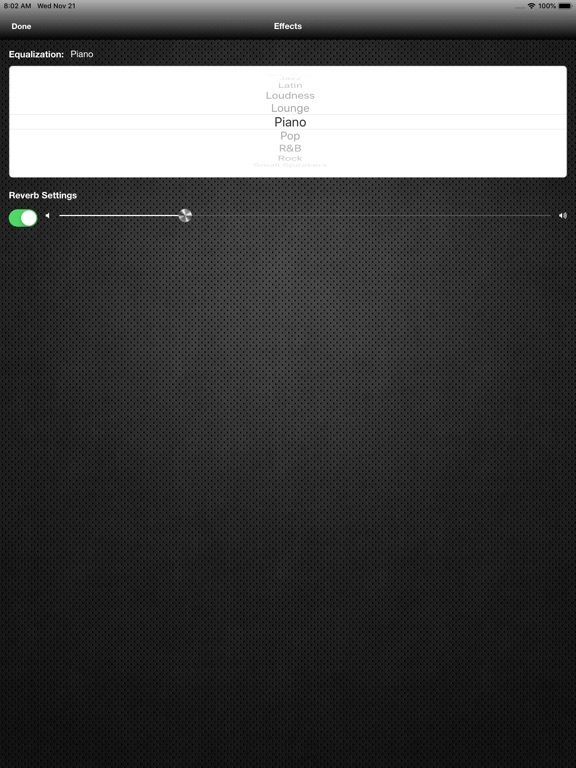 Don't waste another minute waiting for the band to show! 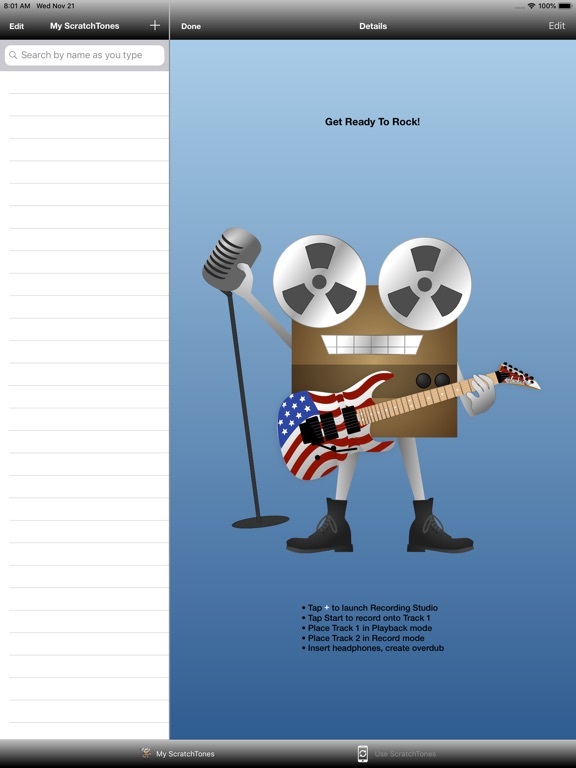 Plug in, write a new tune, rock on!